We want to provide the Gaming Community with a lightning fast gameserver with plenty of choice when it comes to maps and weapons. Our server settings are based on what a majority of our players enjoy the most and we aim to take all feedback very seriously allowing us to make changes where possible to make everyone experience a fun and enjoyable one. We also have a nice bunch of helpful admins on hand to keep the server running the way it should be and free from players that play using cheats and other underhand tactics to give them the unfair advantage over others , Our admins have been doing admin work for many years on other very popular servers and have what it takes to catch anyone who is playing unfairly. Nobody likes a server full of cheaters and that's what we aim to provide the community. We also believe that our server should be a place where all players across the world can come together as one and play in peace and harmony so aim to create a polite and helpful environment for all our visitors no matter their age or skill level. We respect each and every single one of our visitors on our servers and website , what we believe in is being straight down the middle when it comes to treating everyone the same. We are all here because we love this old game and we want to keep it alive and kicking as long as we can without the drama of abusive comments and unfair gameplay. Our visitors thoughts and opinions are extremely valuable to us as it allows us to understand what we can do to improve our servers and what could make them even better then they already are!. The main goal that we have as a community & clan is to create a one stop place that anyone and everyone of all ages and skill level can play on without the threat of their experience being interrupted with those players who wish to disrupt players enjoyment with either foul mouth comments or unfair gameplay. We want to create a place where people can come and make new friends and people they are comfortable to play with on a regular basis without all the hassle of immature abusive players that just want to destroy players enjoyment while in game. We have a great bunch of mature admins on hand that players can go to with any concerns or issues they have while playing in our servers who will take each case very seriously and will deal with them as appropriate as possible. 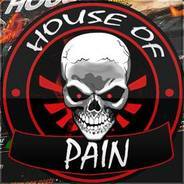 House of Pain are recruiting so if you would like to be a part of our family please head over to our website to apply!. Hello to all steam members of HouseOfPain, we experienced a website server crask a couple of weeks ago and we lost all users and forum data. This means that we need ALL members of the team to visit the website http://www.houseofpainserver.com and take 5 minutes to register a forum account. Please remember to use your <HoP> name so we can identify your user account and correctly update your forum permissions accordingly. We require all users to complete this process to allow us to keep our members updated with all the latest news and updates regarding their game and server status. We are going to open up a mass recruitment period for <HoP> , This means that ALL current members will have the permission to recruit new players into <HoP>. There really is a simple process that still needs to take place but its really straight forward so i am are sure that it should not cause any issues. 1. Recruit a player that is intrested in joining us. 2. Ask one of the steam adminstrators to invite themm to the <HoP> steam group. 3. Ask them to simply create a account on our forums. 4. Advise them to make a post in the join request forum or create one on behalf of them providing a few basic deatiks such as name & game. This process is NOT a requirement so dont feel you must recruit players as thats not the case we just want to make the community grow in numbers and with everyones support we can do it faster!. Hey guys I'll be coming back soon to start playing KF again. Sorry been very busy since college started. I'll start re-installing KF in the morning or afternoon when I wake up. Hope to see you guys soon.